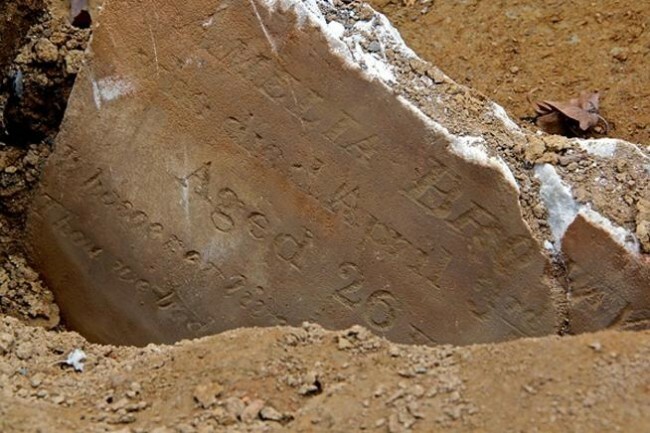 The stillborn babies of Ms. Mary Henderson were buried on this date, July 25, in 1826 at Bethel Burying Ground. Mary Henderson gave birth to a stillborn daughter and a stillborn son who were eventually buried at Bethel Burying Ground on or about July 25, 1826. From all accounts, Ms. Henderson was a single woman (possibly widowed) who worked in a dry good store near her home in Burd’s Alley* near the corner of 2nd and Queen Streets only two blocks away from Bethel Burying Ground. The physician that signed the death certificate of the children, Dr. Charles G. Nancrede, was a volunteer at the Southern Dispensary (clinic) several blocks from Ms. Henderson’s home.